X-bit Labs reports Intel was running a real-time ray-tracing demo of Wolfenstein at the IDF in San Francisco. 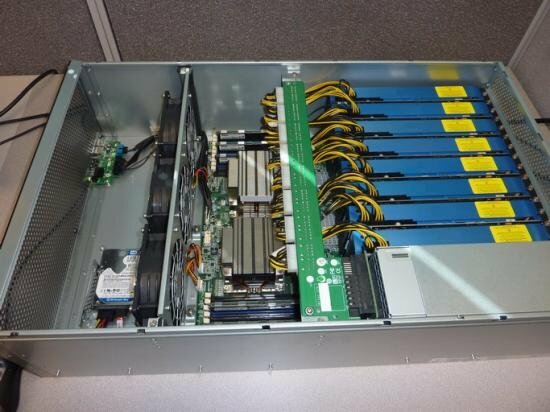 To achieve this feat, the company used a 2-way Xeon server with eight Knights Ferry graphics cards. The up-to-date Wolfenstein game is rendered through a real-time ray tracer with several special effects that haven’t been possible before in games with such an accuracy. The latest Wolfenstein game demo also includes such effects as depth of field, HDR bloom, inter-lens reflection, smart anti-aliasing. Las year Intel rendered Wolfenstein demo using a “cloud” of four Intel's Knights Ferry/Aubrey Isle compute accelerate cards in 720p (1280*720 resolution). This year Intel decided to install eight KNF compute cards and render the demo in 1080p (resolution). As ray tracing is a highly parallel application it can therefore take very good benefit of the many cores that are in a single chip on the Knights Ferry board.